It’s fantastic to be back in the swing of writing and connecting with you! I took a hiatus over the summer to re-ignite my Mojo by spending more dedicated time with my family outside in the gorgeous state of Maine! I hope you too were able to take a break and do things that bring you peace and joy. It felt amazing to make a conscious decision to create white space in my calendar and then choose to honor the time and not fill it to the brim! True confessions…it wasn’t always like this for me! Earlier in my life, I would excitedly block the bonus time off on my calendar and as the time drew near, I would pop in just a quick meeting, an early coffee session, a brief lunch meeting or better yet a happy hour meeting! Notice the words I would use to justify my actions…trying to minimize the impact of my decision. Before I knew it, the extra time I said, “I wanted” was completely taken up by commitments and stuff. Then ding-ding-ding…the out of alignment bell would sound! What I was saying and what I was choosing to do were not matching. Each time I would teeter on overbooking the sacred white space, I would pause and ask, “How will this ____ help me create the experience I want for my summer?” The answer would always guide me in knowing when to place it on the calendar and sometimes I would realize it didn’t belong on my calendar at all. Such a simple question has created a major shift in my life and I now use several versions of the question before I book my time for anything. E.g. How will this (activity or meeting) help reach the goal of ______? Many of my clients have adopted the concept of: “Receiving a request to attend, doesn’t demand an automatic yes for a response.” They practice choosing their response, before agreeing to filling their day with stuff. They align their answer to what matters to them. Learning to choose what matters is powerful. If you’re ready to test it out, a great place to begin is to gain clarity on knowing what truly matters to you, your family and what matters to your business/organization. Grab a piece of paper and pen, take a few minutes and begin crafting your “What Matters in My World”. Let me know how your test of change goes and what you notice shifts in your life. If you would like to explore additional strategies and support for your journey in being able to honor “What Matters in Your World”, click here to book a complimentary discovery call with me today. When my daughter was about 2 ½ or 3 years old she found a pair of huge green framed glasses at a yard sale and fell in love with them. She would put them on, grab a J.R. Tolkien book and head off to find her favorite spot. I would often find her contently curled up with a blanket “reading” the book upside down! She would do this for hours. I’m sharing this with you because it reminds me how we feel about life depends on the lens we view our experiences through. At that time in her life, she was extremely happy to “read” upside down. Ever wonder how two people can experience the same event yet walk away with two completely different versions of what occurred? I’ve spent a lot of time understanding the beliefs, thoughts and habits that contribute to the lens I view life through. As a lifelong learner, I’ve embraced curiosity to discover what would happen if I shifted my perspective and thoughts about things. Being curious is powerful. One of my favorite questions is, “What’s another way I could see this?” In other words, what if I were to put on the green framed glasses, what would I see differently through them? By the way, being 50ish, I have several pairs of reading glasses in every room of my house. All different shapes and colors. I use them as a reminder that there is always more than one way to view what is happening in life. It’s all about perspective. I also challenge myself to find the gold nugget of learning in every situation and conversation. What’s the take away I can bring with me as I continue my journey? Some call it the lesson, some call it the blessing…gold nugget resonates with me. As a precious metal, I can polish it by practicing what I learned right away or put it in my pocket for later, taking it out anytime I choose. You might be reading this wondering…when would it be helpful to throw on a new pair of glasses? Well, I do it when I feel fearful, anxious or frustrated about something. What I notice when I put fresh glasses on, is it opens up the window a tiny crack to what could be possible. The situation could be slightly different than how I’m currently seeing it, and my fear, anxiety or frustration begin to ease. I am able to begin to reframe my thoughts in new ways shifting my perspective which helps me create a path forward or a least the next small step. Many of my clients use this same process of “changing their glasses” or lens they view things through to shift how they feel about it. Are your ready for glasses? If you’re curious, take a moment and identify a situation or conversation where you think it could be helpful to see it from a fresh perspective. Then imagine taking off the glasses you are currently viewing it through and put on a new pair. Ask yourself, what’s another way I can look at this? What’s the opportunity for me e.g. lesson, blessing, learning? Test out all the different angles to see what’s different about the viewpoints. How does it change how you feel? If you want to explore more about shifting your perspective by changing the glasses you’ve been wearing, click here to sign up for a discovery call with me today. As the snow blows in every direction outside my window, it reminds me of how disorienting it can feel when overwhelm strikes! One of the most powerful ways to decrease the feeling of overwhelm is to get clear about what matters most to you and what is yours to own. Time is a non-renewable resource and learning to spend it doing things that actually matter to me has been a lifelong learning process. At one point in my life, I remember feeling completely depleted of time and energy and my to-do list went on for miles! I was overwhelmed and exhausted. One day, I hit a brick wall at full speed and in that moment, I decided something needed to change and that something was me. For those of you who know me, I’m a curious cat! So, I began to examine what I was doing every day and one of my first ah-ha moments was noticing how often my hand would fly up whenever someone asked for a volunteer. Simply noticing this was interesting…I have always enjoyed helping. However, when I reached the point of being overtired, not sleeping, and not running, my enthusiasm was gone and I became extremely impatient with being “the helper!” Yet, my hand was still going up and my calendar was jammed. I started to make note all of the areas in my life where I was helping. I also invested time to reflect and get crystal clear about my values, who I am and what’s most important to me. This was profoundly useful as it allowed me to shine a light on areas where I was giving time and energy to something noble yet not truly aligned with what matters to me. This realization granted me permission to release those roles and opened space for me to give to places that were meaningful to me. Little by little I was able to shift where I was spending my “give back” time which created a renewed energy about being “the helper.” I began being more conscious about my decisions and it felt amazing. I tried testing this new-found knowledge in my work. I did a brain dump of everything I was doing and I was quickly able to identify where I could delegate tasks to others who are really good at doing a particular skill which created space for me to do more of what I’m gifted at. Win-win! I was also able to identify areas that weren’t mine to own or be responsible for. Letting go of these felt extremely freeing and it empowered those who really were responsible to step up and embrace their role. Again…win-win! Being able to take stock in what happens every day and decide if it’s in alignment with what matters to me has been life-changing. I will confess, just like the tires on my car, I re-align about every three to four months to keep myself on track. Am I spending time on things that are meaningful and matter to me? How aligned is what I’m doing with my values? Where am I taking responsibility for something that isn’t really mine to own? What could I choose to do less of to allow me time to do more of the things that are aligned with who I am? Who could do some of the things on my to-do list allowing me more time to do what I do best? Let me know what ah-ah moments you experience during your reflection and what your curiosity reveals to you. I’m curious, how long is your to-do list? Are you feeling like you’re heading toward the brick wall due to overwhelm? If you would like to talk about how to gain more clarity about what really matters to you, take the first step and click here to sign up for a complimentary discovery session with me. February is here and there’s a buzz in New England as the Patriots head off to take on the Philadelphia Eagles. As these teams prepare for the big day, I’m always curious about how they communicate with each other. When Bill Belichick speaks, are the players preparing their response or rebuttal to him in their heads, watching a video on their phone or are they focused in, nodding as he speaks and listening for complete understanding? My guess Is it’s the latter. The skill and art of listening when you are in conversation with another person is key to creating success within high functioning teams and families. Stephen R. Covey says, “Most people do not listen with the intent to understand. Most people listen with the intent to reply.” This is an area I choose to challenge myself to practice so I can be exceptional and not like most people. Would you like to be like most people or join me in the challenge to strive to be exceptional? The first step in the challenge is to raise your awareness of how you are listening. Here a few tips I find helpful when evaluating my skills. Only catching the gist of the conversation or hearing what you want to hear? Distracted by other thoughts or busy preparing your reply to the speaker? Drifting away from the conversation and moving onto another focus? Wanting to bring the focus of the conversation back to what is most important to you? When you notice these, take a breath and guide your thoughts back to being present with the person speaking. This will help you begin to notice their body language and allow you to hear the tone in their voice which may help you discover an underlying issue that’s not really being said, often referred to as “reading between the lines”. Be curious and clarify with the person to gain understanding of the message they are conveying. Try to view it from their perspective. I am committed to listening to others as I would like them to listen to me when I’m speaking. As you begin to notice how you listen and test out one of the tips, let me know what you discover. If you would like to talk more about engaging members of your team and/or family in conversation, click here to set up a complimentary discovery session with me today to. It’s now January 10, 2018, and all of our New Year’s resolutions have been cast. The question remains…how many of these decisions will take shape to create lasting change in our lives? The key word in this statement is explicitly. Over the years, based on my experience and the experiences of my clients, when clarity and details are added to the desired change, it helps remove confusion and doubt when the path to change shows signs of being a challenge. Why do you want this change to happen? These questions will help you develop a deeper meaning and connection to the change you have set out to create. This will prove to be extremely valuable when the path to change begins to get bumpy and rough. Your why can serve as an anchor to help you avoid distraction and remain focused. Adding details to the resolution will help you determine what the next steps will be. One of the most helpful details I’ve found is deciding upon a date for when this change will occur. Yes, pick a date and commit to it. I get it feels scary and uncertain. This is when all of the “what if…” questions and excuses arise. I knew for a long time I wanted to launch my own coaching practice and I was very clear on my why, however I would find every excuse in the book to not commit to a date! Here’s a couple of my favorites, “It’s not the right time, the kids are in college” or “What if I don’t have enough clients?” So I would continue to plan some more without a drop-dead date and this choice resulted in waiting, waiting and more waiting! It wasn’t until my Dad passed away that I truly realized time is non-renewable and if I wanted to make this change in my life I needed to pick a flipping date to make it happen! I picked the date, created a timeline filled with deliberate meaningful action steps and this choice resulted in me successfully launching my practice on that date. That date was just over 4 years ago and I continue to add a date to every resolution, goal and intention that I set. Once I’ve committed to the date, I write it down. There is power in the written word as it demonstrates a new level of commitment to making the change. You are now on your way! Maybe you’ve tried making a change in the past and it hasn’t turned out the way you had hoped. I absolutely love supporting people who are ready to make changes in their life and live full out. If you are interested in learning more about what having support through the changes you want to make, click here to set up a discovery session with me today to. Winter has arrived here in Maine. About a week ago, I awoke to a fresh blanket of pristine white fluffy snow and couldn’t wait to go on a walk with my husband and our dog, Winston. As we walked, we saw tracks from deer, fox and a mouse in the snow. They were amazingly clear and fun to follow and notice the path they had chosen through the woods and across the golf course. Keep in mind, we walked the same terrain the day before and observed nothing on the ground only beautiful birds in the sky. We didn’t see any prints in the dirt or the grass, now clearly a deer, a fox and a mouse did not move in overnight. They were there the day before we simply were not able to see signs of them as we were focused on watching the birds. I came home and spent time being curious about how often I’ve overlooked what is around me because I’m focused on something else. I know when I get so zoned in on my goals and planning for the future, it is easy to forget to BE present with all of the magic currently happening around me. When I bring my focus back to the moment, it allows me to soak in all of the tiny details and see things I didn’t notice currently happening before me. Ah yes, it provides me with a fresh perspective. As I bring 2017 to a close, I’m committed to slowing down to BE more present each day, to be open to discovering the hidden treasures I’ve been missing while focusing on something else. Taking a moment to engage in meaningful conversation with someone I see every day, yet may have never really talked with him or her before. What did you see that you’ve not seen before during your commute to work? Who were you able to talk with at your work that you’ve not taken the opportunity to talk with in the past? What did you learn about your friends and family that you’ve never noticed before? Enjoy the process and the gift a fresh perspective may provide! I wish each of you a wonderful Holiday Season filled with love and joy! If you would like to connect to talk about your discovery and how to continue to build your muscle of being present each day, click here to set up a complimentary call with me today. Indecision…what is it costing you? Have you ever felt like you were teetering on the fence about what to do? Weighing the pros and the cons until you’ve completely exhausted yourself. will you choose to close your business to take on a new adventure? It doesn’t matter what the decision is the struggle may feel the same. I recently had a conversation with an amazing woman who is currently working in a corporate position yet her passion is to open her own online business. She has been waiting for the right time to make her move and hiding her passion to the point that she’s about to explode. It was clear her indecision was costing her joy and time, which she will never be able to get back. So, I asked her, what’s the worst thing that could happen if you just started putting yourself out there? It was like a relief valve was tripped and the floodgates flew open; she was able to breathe. She had never been able to think about it in that way before. All of sudden her expression shifted from fear and worry to excitement and possibility. She left the conversation with a plan for what her next steps would be. Forward movement! Yeah! I get it. There have been several times in my life and in my business where I too was paralyzed by indecision. Here are a few tips that have helped many of my clients and myself move beyond being stuck into inspired action. Which answer would you rather focus on and spend time creating? Judgment…right and wrong…many of the decisions we struggle with have no true right and wrong answer. I would encourage you to challenge yourself a bit on your perception and thinking. This is a very convenient place to create excuses for not moving forward with what you most desire, however, only you can decide what’s within your realm of acceptance. What is your indecision costing you? What pending decision has been soaking up your precious energy? Imagine what it would feel like to make the decision and be able to move forward into inspired action. Test out the questions above and pay attention to how you feel when you answer them. Let me know what you learn from doing this. If you would like to talk more about being able to make decisions with an increased level of confidence and more quickly, click here to set up a complimentary discovery session with me today. Fall in New England is spectacular! The trees are covered in a vibrant array of colors and as I pause to admire the beauty, I’m always amazed at the incredible world we live in. The power of the waves, the strength of the howling winds and the quietness of a falling leaf are only a few examples of beauty for today. As many of you know, I draw a lot of my energy from nature and when I deprive myself of being outside, I notice a drop in my vibration and my ability to stay connected to what is possible for myself, my business and the world as a whole. Over the years, I’ve learned how important it is for me to consciously choose to engage in nature each and every day in some way. I actively make a choice to get up out of my chair and walk outside, breathe in the fresh air, reach my hands up to the sky, grab a glass of water and then return to my work. This choice makes me happy! 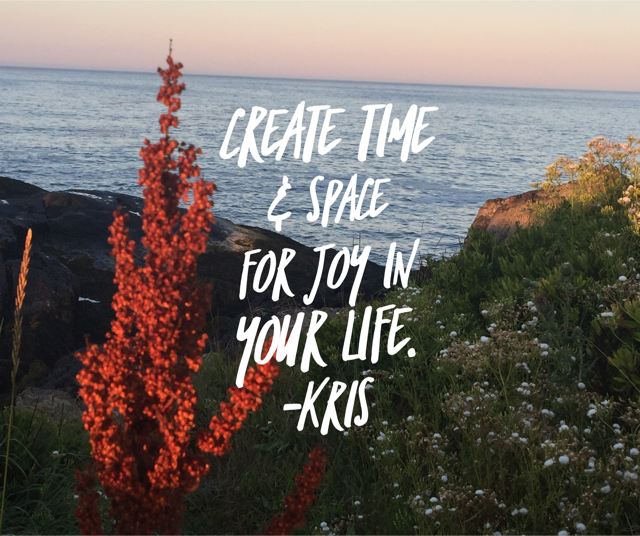 As I work with my clients be it a large organization helping them discover how to create more joy in their work environment or an individual business owner navigating big life and business changes, one of the staples to the work is to help them remember they have choices. In the beginning of the work, there’s always resistance accompanied with a long list of reasons why they can’t possibly do anything different than what they are currently doing. It can be scary to choose to do something different or to think about something in a new way. However, once they are able to make the tiniest shift and choose a new perspective or a new response to a challenge – the freedom bell goes off and they want to keep testing and learning new ways to create the experience they desire for their day. Yesterday, as I hung up the phone with one of my clients, I gave a big fist pump in the air and shouted YES! He shared with me that he now realizes he has the ability to choose to be happy regardless of what is happening around him. He no longer believes it to be out of his reach or control. YES! I’ve supported this person though big life changes and helping him to see what is possible for himself. He is now faced with amazing opportunities and choices of what the next leg of his journey will be. This is incredibly exciting for him to realize AND it all began with one small choice to do something different. This same shift is possible for all of us. I invite you to take a moment and reflect on your life…where would you like a different result than what you are currently experiencing? How willing and ready are you to make a new choice to shift the experience to be more of what you desire it to be? 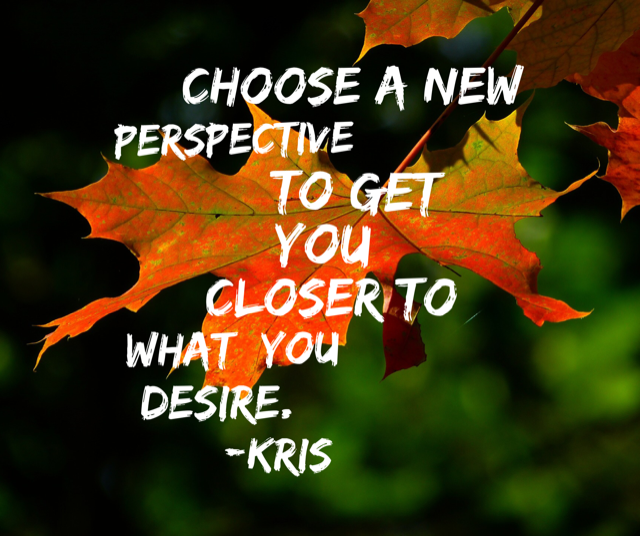 If you’re ready, what tiny action or new perspective will you try out today to get you closer to your desired outcome? If you would like to talk more about how to create a new experience for yourself or your business, click here to set up a complimentary discovery session with me today. Have you ever sat at your desk frantically working yet not getting anything finished? I could go on and on, however, my guess is you get the picture and it feels all too familiar. The stimulation our brain receives in the run of a day can be extremely distracting. In the past, I carried the badge of honor as an incredible multitasker with immense pride only to now realize just how silly that was! I kept pushing the envelope only to reach the point of not being able to focus for an extended period of time. I began researching to learn new strategies to calm my mind and bring myself back to a place of being able to focus and enjoy the task at hand and see it to completion. Wow - what a fabulous feeling! When I began my research, I thought I would learn high-tech, complicated strategies because it couldn’t be simple or everyone would be doing it. Much to my surprise none of the solutions were complex! Close out of my e-mail and shut off my phone for 30-minute increments to focus on a large piece of work. Yes, I know it sounds undoable, being out of touch, what if someone needs me, what if ________. Enjoy a cup of coffee or tea during my 30-minute focus session. Prepare my mind before entering the session by breathing deeply into my stomach and releasing all of the thoughts rattling around in my head. Letting them know I’ll come back to them. I do this while I walk to my desk with my yummy warm beverage of choice. Here’s a wild card – sometimes I put music on depending on my mood. I get up, stretch and take a brisk 3-second walk around the office. Crank up the music and dance to move my body and blow out the cobwebs that have slowed the flow of my thoughts. here are many other evidence-based ways to help you return to focus and be more productive, however, those are my favorites. How different would you feel if you were able to have more focus in your day? What strategy might you want to begin with today? Perhaps you have another one that resonates with you a bit more? What is it? When would you like to begin using it? Let me know what you decide. Remember if you choose not to do anything different than what you are currently doing, the results you are getting will remain the same. So, if you would like to have a different result, what will you do different today to make the shift happen? Keep in mind, making a decision to shut off e-mail and the phone felt scary and all of the ‘what if’ scenarios ran rampant in my mind. However, I decided to test it out for 30 days to see if it helped. Developing any habit takes practice and repetition. Now, after over a couple of years of practice, the more I do it, the more amazing results it brings. Let me know what you decide to do to help bring focus back into your day. If you would like to chat more about focus and what gets in your way, click here to set up a complimentary discovery session with me today. Last week I was able to be fully present in nature with my family and experience all of its exquisite beauty. It felt absolutely amazing! Stretching out in the kayak while drifting into a tiny cove where a huge osprey was perched high above on a branch protecting his nest and watching a bald eagle soar gracefully through the sky as the sun glistened off the water was one of my favorite moments. These experiences brought me a deep sense of connection to nature and the universe. When I’m connected in this way, I have complete clarity about why I do what I do and what’s important in my life. I wanted to package each of those moments and bring them back with me when I returned to the day-to-day world. So, I let the images imprint in my mind and soak into my bones for a few extra minutes. Now I’m back in the saddle of running a thriving business and doing all of the tasks it takes to maintain and grow my practice as well as holding sacred space for my clients as they do their work to reach their desires in their life and business. It’s easy to get sucked in and hunker down and “get busy” again. Then the next thing I know I’m starting to sacrifice the very things that bring me joy. Like being in nature running along the river with my dog - YIKES! Has this ever happened to you? Now when that happens, I pause, close my eyes and recall the osprey and the eagle moments allowing myself to reconnect to my values and what’s really important to me. In the few seconds I take to do this, I’m able to re-connect with my mojo and bust out of the saddle and go for the run I was too busy for yesterday! Each day I consciously choose to live my life and run my business based on my values and what is important to me. This choice provides me a way to reflect and be curious about the items on my to do list and the stuff that creates the busy buzz around me. Are they aligned with my values and what’s important to me or did I add them in based on an external pressure? What about you? Are you choosing how you live your life and run your business based on your values and what’s important to you? Let me know your thoughts. If you would like to chat more about aligning your life with what’s important to you, click here to set up a discovery call with me today. Are we learning from each other or are we repeating the same mistakes over again and again? We’re presented with ample opportunities to learn from each other every day yet many times we choose to view ourselves as being exempt from the experience of another person or company or we classify ourselves as special or different than them. Therefore, the lesson must not apply. I remember my Mum saying to me, “I wish you could learn this lesson through my experience because it would save you a lot of time and frustration.” Guess what my first thought was? I’m different. Your story and lesson doesn’t apply to me! Now at her age, I laugh out loud several times a day as I realize how similar our experiences really are! Sound familiar? I find this to be true in business as well. Over the years working with clients, I’ve noticed how similar their blind spots are. One of the biggest blind spots is being able to cultivate a culture where people feel safe to speak up when bad behavior is occurring. What’s the culture like in your business or organization or home? Take a moment to reflect on your answer. Are people able to speak up and be heard or are the same mistakes happening that sent Uber into a culture crisis? If you would like to read the thoughts from a few other Forbes coaches, click here to read the full article. Let me know what resonates for you as you read them. If you would like to share more about the culture where you are and talk about ways to begin to create a culture of safety where people’s voices are heard, click here and sign up for a complimentary discovery call with me today. Coming back from the beauty of vacation and being off the gird for seven days has been an exceptionally challenging transition this week given the news we heard as we arrived home. Learning about what had been happening in Charlottesville, NC was frightening and appalling. I’m committed to keep moving forward in love. I will continue to challenge myself to speak out when people are being treated unjust or being suppressed. I will stop and lend them a hand. I will continue to work with business and organizational leaders as they strive to create a safe and just work culture where all employees have the opportunity to thrive. I will continue to help raise awareness of the subtle ways unjust behaviors show up within each of us, including me and create new ways of thinking and begin to shift the behavior. I will continue to keep strengthening my muscle and push for positive change one small step at a time. Will you join me? What will you do today to move yourself closer to love for one another? If each person takes one small courageous step each day, we will change the world and shift it closer to love and light where hate will be extinguished. If you want to talk about how to create movement toward love and light in your life click here and sign up for a complimentary discovery session with me. I’m thrilled to be starting vacation on Saturday! Taking a week to completely unplug and, go off the grid with my family to recharge my batteries and re-ignite my mojo. What the heck is mojo you ask? It has African roots and it brings inspiration. I define Mojo as the internal light that each of us are born with. It's the nectar that attracts the bee. It's the innate quality that makes you, YOU! When your light is shining you are successful and full of energy! Deborah Mulhern, clinical psychologist of Bethesda, MD, says, “Neuroscience is showing us that we require down time in order for our bodies to go through the process of restoration. It is only when we are safe from external stresses that our bodies can relax enough to activate restoration.” As I read this I began identifying what I would define as an external stressor. As I help set up camp on the rocky point with an absolutely breath taking ocean view, I’ll embrace nature with all it’s beauty as well as the hazards of poison ivy. A while later, while listening to a few favorite tunes, I’ll cook dinner over the fire, ahhh heaven on earth! I find taking dedicated time off is vital to maintaining my positive perspective on life. Francine Lederer, another clinical psychologist from LA says, "The impact that taking a vacation has on one's mental health is profound." As the ocean wind blows across our campsite it takes with it all of the worries and stale thoughts from my mind, which are replaced with fresh ideas as the sun crests over the horizon and rises high in the summer sky. There will be plenty of time for a hike or a kayak ride and a long rest in the hammock reading one of my favorite books. Right now, you could catch me soaking in the words of Marc Lesser. His new book Know Yourself, Forget Yourself is amazing. Marc is a revolutionary leader who helped form the culture at Google and many other wildly successful companies. I continue to grow and learn from him and others everyday on how to best lead myself first then lead others in transforming their culture to a place where people can thrive. One of his lessons is learning to take quiet time and that’s what I’m signing up for the next 10 days! When I return, I’ll be more productive and have a stronger zip in my step to be able to serve my clients better. There are more and more studies coming out demonstrating the benefits of unplugging from work and as an entrepreneur it is tough, however necessary to the growth of my business. The benefits to employers when employees take time completely away from work are staggering! Increased health and wellness, increased productivity, happier overall! The ROI (return on investment) is there…so what are you waiting for? Block your calendar and go sign up for time off now! What stressors will you leave behind? Where will you go to unplug and get quiet for a while? I almost forgot to mention one of my most favorite things to do…play games on the picnic table with my family! Let me know what you decide. Have a blast while living a life you truly love! If you’d like to chat more about how to recharge your batteries, click here to set up a complimentary discovery call with me today and we can chat when I return. In the meantime, enjoy! Freedom as defined by Oxford dictionary, “The power or right to act, speak, or think as one wants without hindrance or restraint." Best known as independence! As a US citizen, this week has been an exciting reminder of how important freedom is to all of us, yet it has also revealed to me areas in life where we give that sacred power away. Just like a lighting bolt, the answer came flashing into my mind, which was eye opening for me! I continued with my curiosity, (Yes, sometimes I think my name is George and I’m wearing a suit of brown fur with a grin running across my entire face!) I wondered what was creating the resistance and holding me back in this particular area? My answer was the fear of not producing a perfect outcome! Yikes, this discovery stopped me dead in my tracks! After all I work with clients every day supporting them to grow the confidence to just start their journey and leave the notion of perfection behind. Funny thing, I realized somewhere along the way I created a formula to get the perfect outcome for this project. My formula felt complicated so I kept postponing the start. Waiting for the “right” time! Based on what I learned, I’ve decided to redefine perfect to mean, “thinking, speaking and acting to the very best of my ability today and as I learn and grow this will change over time.” I’ve broken down the formula into small bites so I can start today! Doing this reframe has sparked another level of untapped energy and potential for what is yet to come in my life and business. Ahhhh, a new higher level of freedom! Independence! Now, back to you…where are you not being as free in your life as you would like to be and what is holding you back? Let me know what you discover. If you’d like to talk about creating more freedom in your life, click here to sign up for a complimentary discovery call with me today. Develop confidence in your life and business through experiential learning. Growing up on a farm, experiential training was how I learned to do things. I didn’t attend a class or listen to a lecture. I got my hands, and most of the time my entire body, dirty to learn how to do what needed to be done. I was constantly observing what was happening around me and my dad would try to take time to explain what do to, however, there would be times when that wasn’t possible. So, I would make a decision to try the plan I thought would work best to resolve the challenge. Well, sometimes it was perfect and other times I needed to adjust it a bit and yes, there were times I needed to start completely over. The next steps were based on what I learned. As humans, we have five senses to gather oodles of information and deliver it to our unique powerhouse processor stored between our ears. Learning to use our senses through experience can be a transformative way to build confidence in our ability to create a solution and learn a new craft or skill. The college path I choose was in healthcare. After sitting through the lecture, using my ears to learn how to do a procedure, I would then go into the clinical setting to observe and do, which is where the other four senses kicked into gear. The motto at the time was, “see one, do one, teach one.” Once again, hands on learning through experience. I continue to use this model of learning in all aspects of my life as a business owner, Mum, and wife. I teach and support my clients through experiential learning as they test out their new ideas, processes and ways of being in the world. The clients I work with experience ah-ha moments and transformation when they are dipping their toes in the water and trying out new ways of thinking and doing. What idea or change have you been waiting to try either in your business or life? As you may know, I was invited to join the Forbes Coaches Council, and as a member, I was recently chosen to contribute to an article: Why Experiential Learning Should Be Part of Employee Training. The information in the article may provide you the confidence to move forward and integrate experiential learning within your business and/or life. Please check out the other highly valuable tips shared in the article by 9 other coaches in the Forbes Council. I trust this will help you navigate next steps to take. If you would like to chat more about how to move into the testing phase of your idea or change you’d like to make, click here to set up a free discovery session with me today.